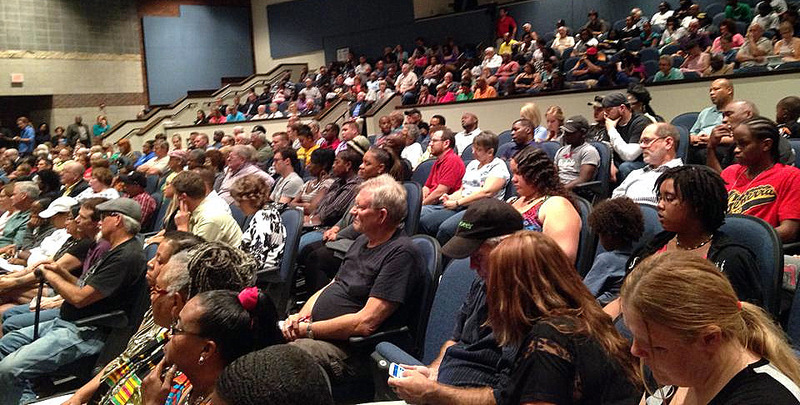 On August 28, a group of nearly 600 people gathered at East High School in Wichita, to address the question of how to prevent the same type of conflict we have seen in Ferguson, Missouri. Convened by a group of clergy and community leaders and led by United Methodist pastors Kevass Harding and Junius Dotson, the meeting was a timely and difficult conversation. Earlier this year a young African-American man had been killed by the police. His family members were present. For five years community activists had been asking for police officers to wear cameras in order to record their work. The current chief of police for Wichita has announced his retirement. Harding and Dotson moderated the evening with grace and skill. They enabled a diversity of perspectives to be aired in an atmosphere of mutual respect. The common goal of a better community was frequently lifted up. I am grateful for their leadership. 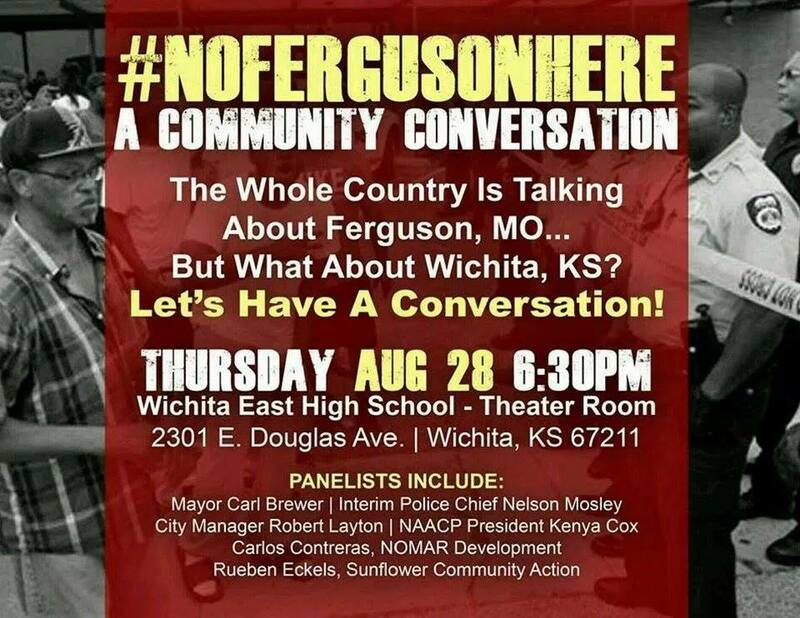 As a white citizen of Wichita, I was unaware of the level of anger felt by many African-Americans in my city. It was an important evening for me to hear the concerns and the pain being expressed. Coverage by the newspaper and TV stations may help widen the awareness of the whole community. At the same time, many people in the audience need a deeper understanding of the difficulties faced by the police and the difficult choices being made by political leaders setting priorities for the community. Too few Hispanic people were present, and not enough white people were in the room. But all present were convinced that this meeting was not the last step, but a first step in addressing key issues facing Wichita. Many of our congregations, our annual conference and the whole of The United Methodist Church face difficult conversations. We need to remember our identity as sisters and brothers who together form the body of Christ. Putting that identity first can help us focus on why our relationships are important and why it is worth the effort to remain engaged with each other in difficult circumstances. Listening to each other is an important skill whose difficulty is often underestimated. It is so easy to jump to conclusions about what the other person really means or why they say and do what they do. Since January I have spent time trying to listen to different viewpoints about the unity of The United Methodist Church and our disagreements about human sexuality. Without taking a position myself, I have sought to clarify the viewpoints of others, and to describe objectively the context in which our discussions are taking place. I have posted my current assessment at www.extremecenter.com/documents. I will discuss many aspects of this issue on a webinar on Saturday, Sept. 13, at 10 a.m. central daylight time, at www.greatplainsumc.org/livestream.